All aspects related to the implementation of non-Latin scripts in the root servers of the worldwide DNS system are the subject of a number of working groups and processes throughout ICANN. The IDN Liaison for At-Large, Hong Xue, has participated in and follows all of them. Hong finished successfully her term at the Meeting of the ALAC on 6 November 2008 and the ALAC looks forward to her energy and enthusiasm that will bring to our work and activities forever. As the ICANN President said at our meeting, it is important not only to voice our views but send in comments in writing. Since ALAC has always been active in the consultation and policy advice process on fast-track IDN ccTLDs, I suggest take the opportunity to send in our comments before 6 December 2008. To expedite drafting, I made the 0.2 version for your review. Thanks for the inputs of Izumi and Tina and the coordination of Nick. Cheryl Langdon-Orr, Hong Xue led a few workshops related to IDN and other issues and were panel speakers in a few other workshops. 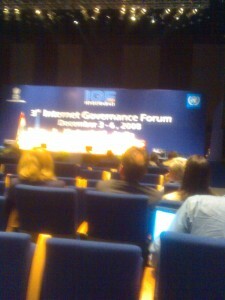 Cheryl was one of the panelist at the ICANN open forum. (Cheryl and Hong Xue participated in a number of workshops, the precise deails of the theme, co-speakers and presentation links are to be obtained from Hong and Cheryl and to be unploaded in the wiki. The workshop has been successfully held on Monday November 12, 2007. The Speakers talked about new IDN technical developments that will greatly benefit the users, particularly the IDN application in email system. Email and whois are the two ASCII-only fortresses against the tide of IDNs. IDN email application will significantly liberate the IDN users from the chains of ASCII. The Speakers also presents the different implementation models and polices developed by the local user communities, such as Japanese-speaking and Polish-speaking communities. It sufficiently proves that only the local language communities can and should determine how to implement the IDNs. Hong from ALAC presented a couple of policy considerations on the IDNs. She strongly argued that failure to implement the IDNs and continuous delay have become a breach of the principle of freedome of expression of non-ASCII script users. The workshop was warmly applauded by all the audience, including scores of governmental officials from 27 countries and the representatives from business sectors, civil society and academics.